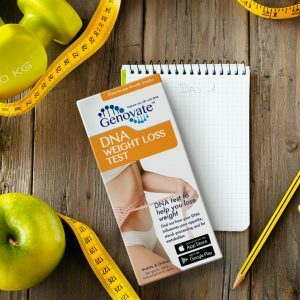 Home Lifestyle Nutrition Did you know DNA influences how you respond to omega-3? Heart attacks kill over a half a million people each year in the US. Obesity is the most prevalent health crisis of our time. Two conditions with many different risk factors that endanger our health. Thankfully, there are also protective factors that promote a healthy body weight and good heart health. Omega-3 is one such substance that can help protect us. Yes, omega-3 is a fat, but it’s a healthy fat with many benefits. 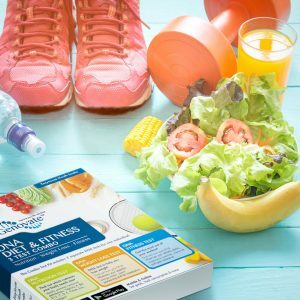 However, it appears that some of us may be in a better position than others to reap the benefits from omega-3, all because of variation in one gene, NOS3. 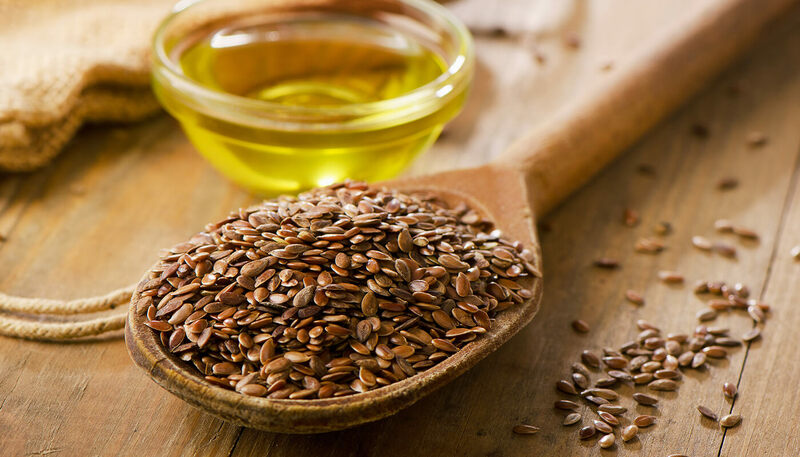 Omega-3 belongs to a group of fats known as polyunsaturated fatty acids (PUFAs). Foods like fish, walnuts, poultry and eggs have high levels of omega-3. There are three types of omega-3 fatty acids. One of them, ALA (alpha-linoleic acid), is essential, which means it has to come strictly from our diet. The other two omega-3 fatty acids, DHA (docosahexaenic acid) and EPA (eicosapentaenoic acid), can be made from ALA. But the body can only make about 15% of what we need for these fatty acids. This means EPA and DHA should also be included in your diet. Fish oils contain both EPA and DHA, and plant oils are rich sources of ALA.
More on food sources with omega-3 and how much to include in your diet can be found at the end of this article. Omega-3 fatty acids are required for growth and development. DHA is found in very high levels in the retina of the eye and the brain. They serve as the basis for hormones that control contraction and relaxation of the blood vessels, blood clotting and inflammation. Omega-3 fatty acids also safeguard our health by lowering triglyceride (storage fat) levels to reduce our risk of heart problems, by boosting the effects of antidepressants to reduce risk of depression, and by counteracting memory loss associated with conditions like Alzheimer’s and dementia. Fish oils can also lower inflammation and as a result, offer relief from the symptoms of asthma and from the joint pain associated with rheumatoid arthritis. All these benefits of omega-3 can be affected by the presence of a genetic variant of the NOS3 gene. Genetic variants are changes found in the DNA that can affect protein function. The NOS3 gene encodes the enzyme nitric oxide synthase, which produces nitric oxide. Nitric oxide is a signalling molecule that signals the arteries to relax. It helps regulate blood pressure and increases blood flow, providing protection against heart disease. The link between omega-3 and NOS3 involves triglycerides in the bloodstream. Elevated triglyceride levels increase the risk of cardiovascular disease. People with one variant of NOS3, known as rs1799983 T, are at higher risk for increased triglyceride levels, but only if their diet is low in omega-3 fatty acids. This means, if you have the NOS3 variant and don’t eat enough omega-3 fatty acids, you are more likely to have higher triglyceride levels than someone with the normal version of NOS3 who also has a low omega-3 consumption. Luckily, simply increasing your omega-3 intake should result in a reduction in your triglycerides. Omega-3 deficiency can also cause fatigue, poor memory, heart problems, depression, poor circulation and a wide range of skin issues, including dryness, itchiness and discolorations. You might also experience problems with your eyesight, gain weight and be more prone to sickness. Deficiency during pregnancy puts a baby at risk of having vision and nerve problems. You can avoid all these issues by eating fish like salmon, tuna and mackerel at least twice a week. If you don’t like the smell or taste of fish, you will want to consider fish oil capsules. Or take seed oil capsules, if you are a vegetarian. It is very important to not take more than the suggested dosage of these supplements. Omega-3 overdose can cause vomiting, diarrhea, stomach pain, blood in the urine, nosebleeds and acute pancreatitis. High doses of omega-3 should only be taken under the supervision of a doctor. Remember to buy your supplements from a reputable source, because certain types of fish contain high mercury levels, which will make its way to the capsules. Should you be increasing your omega-3 intake? If you live in North America, you are expected to live until you are at least 80. Omega-3 will certainly help you to get there. But, those with the NOS3 variant need to be more vigilant about their intake. 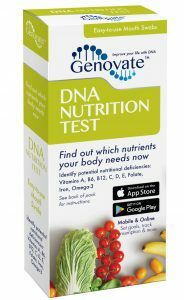 You can find out if you are one of those individuals with the DNA Nutrition Test. 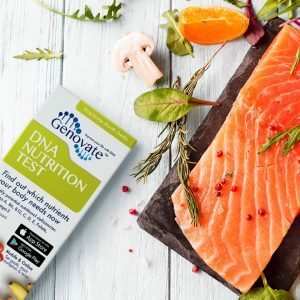 If you just can’t fathom the thought of eating fish, there’s no need to worry, a simple genetic test can tell you your NOS3 genotype. But whether you can muster up enough courage to eat fish once you find out, is entirely up to you. Adequate intakes (developed by the Food and Nutrition Board of the National Academy of Medicine) indicate an omega-3 level that is assumed to ensure nutritional adequacy. For infants, the adequate intake applies to total omega-3s, as human milk contains alpha-linolenic acid (ALA), eicosapentaenoic acid (EPA), and docosahexaenoic acid (DHA). For ages 1 and older, the adequate intakes apply only to ALA, because ALA is the only omega-3 that is essential. The U.S. Food and Drug Administration (FDA) has established a Daily Value (DV) of 65 g for total fat. However there is no established DV for omega-3s. Therefore, this table presents the amounts of omega-3 fatty acids in grams per serving only and not the percent of the DV. Adequate intakes and food sources are obtained from the Omega-3 Fatty Acids Fact Sheet for Health Professionals (National Institutes of Health). Previous articleDid you know DNA influences your risk of iron deficiency? Next articleDid you know DNA affects how you respond to pain medications?